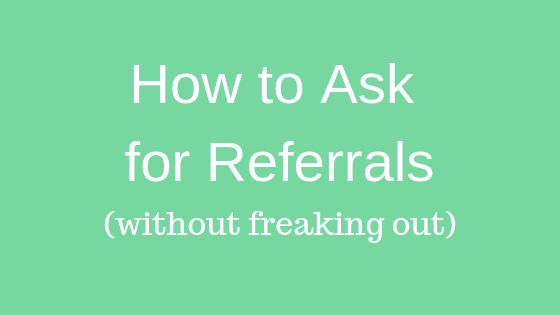 Ever freak out or feel a little bit weird when you ask for referrals? Relax. It’s a perfectly normal feeling. Many therapists feel the same way. However, at the end of the day, you need quality patients to have a successful practice. Over the past three years, I’ve been coaching therapists on how to start and grow a practice from scratch. Once they get the business foundation set up, the primary challenge they face is getting the word out about their new business. They need to attract new clients, but they don’t want to come across as desperate or pushy. We find that when a person is referred to them by a friend or colleague, that person is much more likely to become a patient than someone via a Google search. Most of us would agree referrals are the most effective way to grow your practice. Asking for referrals is often out of our comfort zone. It’s something that very few therapists feel they are good at it. How do we make our services clear? We relentlessly refine our core message down to the essential elements. Even in this age of online communications, you still need to explain what you do with simple language in 20 or 30-second chunks. People won’t be able to refer friends and family to you if they don’t understand what you do. I’m not talking about elevator speeches where you’re trying to sell your services on the spot. You’re merely trying to start a two-way conversation that gets to the core of what you do and for whom. Make no mistake about it. To strip your services down to its essential core is not an easy task. That’s why most therapists I talk to are terrible at it. They talk over people’s heads by including way too much information and medical jargon. If you share more than three points, then you’re saying virtually nothing. People won’t remember it. If it’s not memorable, there’s little chance they’ll refer someone when the opportunity arises. Journalists are taught to start their stories with the most critical information. The first sentence is called the lead. A good lead is everything. It contains only the essential elements of the story. No matter the reader’s attention level, if they read the lead they’ll get the main point of the story. If you want to produce more referrals, then write and practice a lead sentence for your practice. 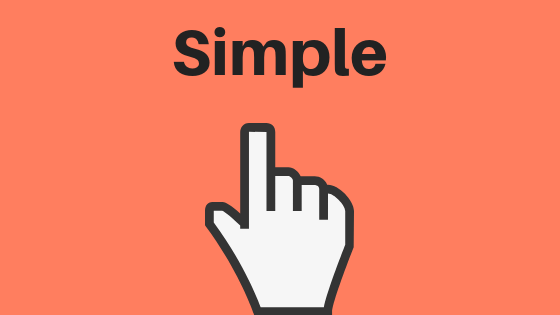 It’s not about dumbing down the professional value but crafting a simple phrase that is sticky and shareable. Once you’ve crafted a simple yet eloquent statement of what you do, it will become like a swiss army knife. You’ll be able to use it on your website, brochures, casual conversations– whenever you need to promote your brand. I wrote a blog post on How Do You Talk About What You Do and a how-to guide on How to Talk About What You Do To Gain Respect and Referrals. These resources will help you craft a clear statement of whom you serve, who you are and what you do. Download the free guide, write your lead sentence so you’ll be ready for the next opportunity to explain to someone what it is you do for a living. 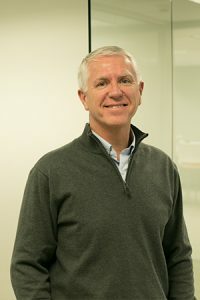 How do we get people to care about what we do? We make them feel something. In his book Predictably Irrational, Dan Ariely explains how expectations, emotions, social norms, and other invisible, seemingly illogical forces skew our rational decisions. He concluded that we are not only irrational but predictably irrational. I’ve observed therapists’ frustration when people don’t understand how much people need their help. Despite the logical explanations consumers fail to see how much they would benefit from therapists hard-earned knowledge and skills. 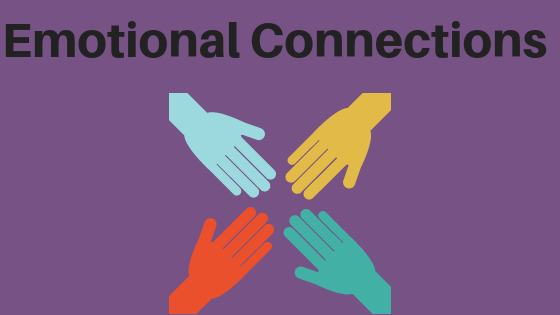 If we want more referrals then it’s up to us to make emotional connections with more people outside our normal circles of relationships. We are wired to feel for people not abstract techniques or programs. People will refer to us when they have an emotional connection with what we do. This requires honesty and vulnerability on our part to reveal our human sides rather than only our ‘professional image’. They seemed to be playing hide and seek behind their credentials, knowledge, and techniques. I never felt like I got to know the therapists as a human being. The description of their practice was very generic and lacked a zest for creating an emotional connection with people. Instead of trying to talk to all of your potential referral sources, focus on the people with whom you already have a good relationship. Start with friends, family, colleagues that share your same worldview and care about the same things as you. They’ll be more likely to mention your services to others because you have similar values and they trust you. They’ll be more likely to vouch for your work because of an emotional connection to what you stand for. How do we make our practice memorable? We must explain ourselves in human actions that connect with people at a heart level that aren’t easily forgotten. Clinics that get referrals are explained through visual stories that are memorable. Stuff like ASTYM, myofascial visceral release, muscle energy, dry needling– are often ambiguous to the point of being meaningless. To generate more referrals you’ve got to capture and hold people’s interest. A story can maintain your listener’s attention and give you the time to get your core message across. We need to be creative and use the unexpected to make our conversations engaging and sticky. Without including any hint of patient information, tell compelling stories that vividly illustrate the difference you make in people’s lives. Make your patients the heroes of your stories, not you. We must craft stories that are both simple and profound. I’ve found the three-act structure the most useful way to organize a story that moves my message forward. 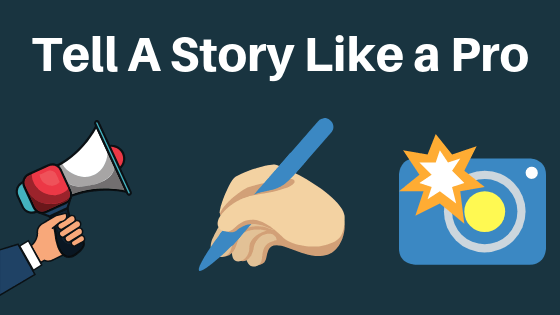 Take three minutes to let NPR’s Scott Simon show you how to tell a story in this NPR video. (It’s worth watching just to put a face the voice) NPR has storytelling tips and other communication resources on their free NPR training page that will help you craft your stories. People will refer others to you when your stories create interest and curiosity. You can’t sound like everyone else and expect people to be excited to send people your way. Those are three principles you can use to be more effective in generating more referrals. No special expertise is required to make them work. They have a common sense ring to them. Don’t be fooled by their simplicity. Each of them requires effort, practice, and perseverance. I’ve seen them be effective with a variety of personalities even with therapists that are more introverted. Now it’s your turn to take action. Talk about what you do in simple language, that engages people on an emotional level through memorable stories. I’m certain that if you do you’ll see your practice grow. I created a how-to guide on How to Talk About What You Do To Gain Respect and Referrals. It will help you craft a clear statement of whom you serve, who you are and what you do. Download the free guide, write your lead sentence so you’ll be ready for the next opportunity to explain to someone what it is you do for a living. If you’d like feedback, email your lead sentence to heypaul@paulpotterpt.com and I’ll get right back to you.